A choice of luxury Kitchen Countertop Materials. We at countertopsnewyork.net Limited offer high quality kitchen countertops including granite, marble and quartz at an affordable price. Each kitchen countertop is fitted by our specialist installation team, Each member trained to the highest standard. A kitchen countertop is more than a set of cabinets and doors - it's the heart of your home. Mega Countertops New York provide excellent service and the best workmanship in countertop installation. 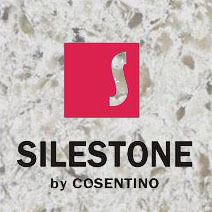 Our knowledge and expertise of the natural stone and man made stone industry allows us to help the private client with the design aspects and functionality of their dream kitchen. 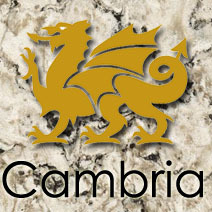 We fabricate kitchen countertops, bar tops, patio tops, vanity tops, fireplaces, bath surroundings, backsplashes. You are always welcome to discuss any custom made requirements. Granite and marble are very unique so no two are a like; it gives a very interesting design for the space. Adding marble or granite top the space gives a certain richness and elegance that is only found in nature. Granite and marble can capture new homeowners if you are trying to sell your home. New customers for the house will pay more for the house you are selling because of the natural elegance. 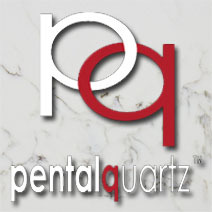 White quartz is now becoming a popular choice for bathroom and kitchen countertops. While a natural marble is deemed to be very beautiful, it may still demand more maintenance than any other surface material such as quartz. The good thing is that there are choices in store for you that exactly look like a natural marble..
Quartz countertops open up an amazing variety of design options. In over 60 different colors and with different surface structures, the ideal combination partner for almost any decorating style. 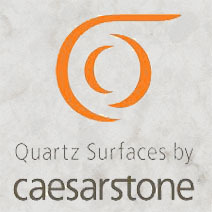 Quartz composite consisting of 93% quartz and 7% resin is a reliable choice for countertops. By the choice of quartz countertops, customers will have a surface that is resistant to heat, cold, dangerous mold, bacteria and stains. Quartz stone countertops are in an exclusive method from one of the hardest natural materials - made into a work area.